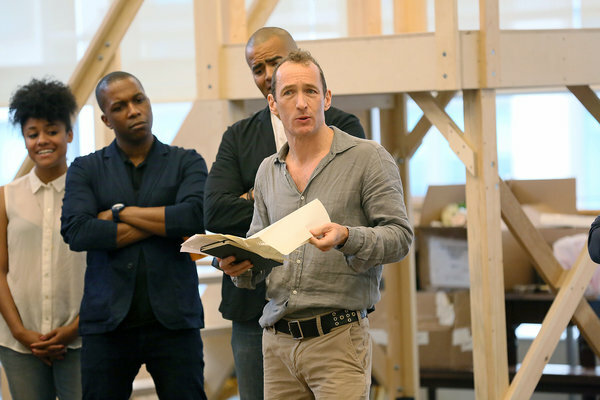 The producer Jeffrey Seller struck gold with Lin-Manuel Miranda’s Broadway hit about the founding fathers. Now he has a new challenge — managing a runaway success. As the lead producer of the hit musical “Hamilton,” Jeffrey Seller straddles a divide between art and commerce. In his appearance and manner, he takes pains not to come across as a suit, the money guy in a bohemian world of waiters and food runners who have scraped, sweated and auditioned their way onto Broadway. Trim and fit from a regimen of swimming and yoga, he naturally folds himself into his surprisingly small Midtown office, which has room for a desk, a couch and not much else. Most days, Seller shows up in jeans (or shorts in warmer weather) and an untucked button-­down shirt with a bicycle helmet clipped to his backpack. I told him once that it’s nice he doesn’t have to care too much about how he dresses for work. “Oh, believe me,” he said, “I do care.” At the musical’s opening night on Broadway and the over-the-top party that followed (live music by the Roots, fireworks over the Hudson River), he wore a whimsical black suit from the Band of Outsiders label; the white stripes on the jacket lapels made him look a little like a bellhop. Seller’s job now is to run the business of “Hamilton,” to maximize revenues and profits, keep investors happy, pay the cast fairly, take the show worldwide, price tickets at some sane level even as the secondary market for seats has gone insane — and to do all this without the whole magical enterprise losing its soul. There’s a refrain in “Hamilton” that runs through several numbers, “In New York, you can be a new man,” and it’s hard not to think of Seller whenever I hear it. It’s a great, schmaltzy line — a celebration of youth and the possibility of reinvention and, not least, New York. But a subtext of the show is that no one really ever becomes a fully new man. Remnants of childhood, family and home remain; they drive you forward and trip you up. Seller is deeply connected to his young self, to the boy in suburban Detroit who watched a Tony Awards broadcast of Patti LuPone and Mandy Patinkin performing “A New Argentina” from “Evita,” felt his ears “perk,” then went to the library the next day to listen to the cast album and listened again and again until he knew every word. Seller’s production company is called Adventureland, for the title of a play he wrote in the fourth grade. He still likes eating at Joe Allen, the theater-­district standby on 46th Street, on special occasions (like the night of the first preview performance of “Hamilton”) because it’s where an older cousin took him to dinner the first time he visited New York. He is the rare person who has managed to wrest success from a glimmer of possibility he saw and could barely articulate — by marrying his desperate need for the theater, for its transporting, fantastical qualities, to his desperate need to have money, or at least enough of it to never feel lousy about it again. A lot of people can recall desperately wanting to get the hell out of wherever they came from, but Seller’s recollections retain a palpable energy. “He was a loser,” he said when I asked why he felt humiliated by his father, who died in 2014. “He wasn’t providing.” I guessed that his father might have also been the type to react badly to having a gay son; instead, this evoked a tender memory. “My anger and resentment at my father for all his failures was combustible,” he said. “But when I did tell him I was gay, days before moving to New York, this man who had a towering, tempestuous rage that could easily be unlocked said to me, ‘It seems no different than if you’re a righty or a lefty.’ He was smart in spite of it all. He was fiercely, fiercely proud of me. It was McCollum who first came upon Miranda — in 2004 at an early reading of his debut Broadway show, “In the Heights.” He called Seller that night, told him he was feeling an “energy” in the room and suggested he hurry over, but Seller was already out scouting something else. Seller and McCollum jointly produced “In the Heights” with a third partner, Jill Furman (who is now also a producer of “Hamilton”). In 2012, when Seller and McCollum announced that they were ending their partnership of nearly two decades, it put Miranda and his closest artistic collaborator, the director Thomas Kail, in a delicate spot. “It was a situation we didn’t ask to be in,” Miranda told me. They had to make a choice to go with one parent or the other, in a sense, and they chose Seller. 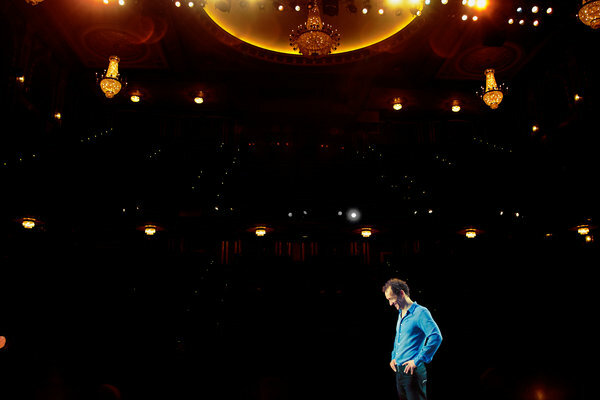 Seller told me that when a Broadway show is flopping, a producer reaches a point where there’s not much he can do. “People think you must be very busy trying to save it, but sometimes all you can do is watch it happen. It’s awful.” A runaway hit like “Hamilton” poses different challenges, like how to advertise it without further agitating people who would like a ticket but have no reasonable expectation of getting one any time soon. Last summer, I attended a meeting of the show’s marketing team. Seller sat at the head of a table in a conference room at SpotCo, an entertainment advertising agency, surrounded by people who ordinarily would have been trying to introduce the new musical to the world and set it up for a respectable-­enough run to pay off its investors. Drew Hodges, the agency’s founder and a friend of Seller dating to their days of working together on “Rent,” said that because lots of people already knew tickets were virtually unobtainable, “we should own our unavailability.” An inventive phrase, but how it translated into strategy wasn’t clear. Someone else brought up the idea of running an ad during the Super Bowl. Seller replied, genially enough, that he thought that would be a complete waste of money, considering all the free publicity the show was attracting. The continuing buzz over “Hamilton” has allowed Seller to publicize it on his own highly favorable terms. The show didn’t take part in the Macy’s Thanksgiving Day Parade, for example. But the cast did perform the musical’s opening number, live from the Richard Rodgers Theater, for the CBS telecast of the Grammy Awards on a Monday night in February. It was basically a free four-­minute commercial in front of some 25 million viewers. The Grammy producers had wanted the cast to appear at the Staples Center in Los Angeles, but Seller told them he would participate only “if we can use our theater, our stage and our lighting, so America can see what ‘Hamilton’ really looks like.” Later that night, to no one’s surprise, “Hamilton” won the Grammy for best musical-­theater album — which prompted another live shot from the Richard Rodgers, with Miranda, surrounded by the still-­costumed cast, rapping out his acceptance speech. It is, though, occasionally a consequence of the process. Seller always seems aware, on a day-to-day basis, of the “advance” — the revenue in the bank from ticket sales for future shows. It’s how his industry keeps score. The money is kept in escrow until the performances for which the tickets were bought actually run — so the advance can rise or fall, depending on how ticket sales are going. 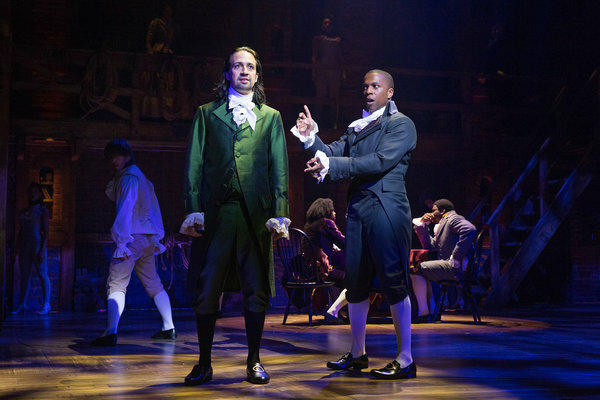 By early February, the advance for “Hamilton” had grown to $82 million, the equivalent of nearly 400 sold-out shows. Profits from “Hamilton” are divided among stakeholders that include Seller and roughly 100 investors; the nonprofit Public Theater, where the show first appeared; and Miranda and others on the creative team. The shares are set, for the most part, by contract. Yet, Seller says: “We live in a real world, and in that world, people are allowed to raise their hands and say, ‘May I please have more?’ And I don’t blame them. I would, too.” Last fall, it was reported that members of the cast asked Seller for a share of the gross, though they are not owed that by contract. “They are the ones bringing this show to life,” he told me. “It was a powerful argument they made; it was gut-­wrenching for me, and I took it seriously.” (He would not give specifics but said that he had reached an agreement and that the matter was resolved, at least for now.) Most cast members are working on 52-week contracts, which began July 13, the first day of Broadway previews, and those who intend to stay will soon be negotiating new deals. Lately, he has also been directing, which is what he set out to do when he first came to New York. Just a few days after all the excitement of the opening of “Hamilton,” he flew to Palo Alto, Calif., to direct a workshop of a musical made from Jules Feiffer’s young-­adult novel, “The Man in the Ceiling.” He spent his days in a small rehearsal room, some of the time sitting on the floor cross-­legged, as he instructed a group of mostly young actors circled around him. The 87-year-old Feiffer, who wrote the show’s book, was also sometimes in the room, along with the composer and lyricist Andrew Lippa, Feiffer’s collaborator (and also Seller’s first boyfriend, when they were both at the University of Michigan). It was theater at an elemental level. The cast was to do a series of three public performances with scripts in hands and no costuming, but Seller could not resist the urge to make it a little bigger.